XKCD is smashing again with a very true observation. And if you add to the analysis in the context of a company the time for pre-meeting, presentation of results and top management decision, all business activity seizes. 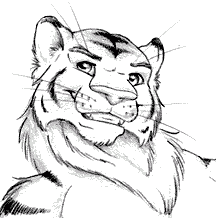 Posted on 2014-11-15 by Tigr. 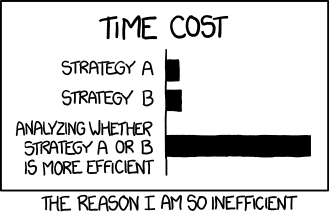 This entry was posted in Various and tagged analysis, efficiency, en, inefficiency, strategy, xkcd. Bookmark the permalink.